The Palace of Versailles, undoubtedly one of the most famous royal residences of the world, where three Kings of France and their queens lived during more than 100 years. It was built in the 1600s and since 1682 used as the official centre of government until the French revolution. 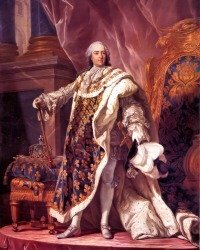 Three Bourbon Kings lived there: King Louis XIV, his great-grandson King Louis XV and the last one was King Louis XVI, the grandson of Louis VX. The Versailles palace has been on UNESCO’s World Heritage List for since 1979. It started out as a hunting lodge build by Louis XIII. His son, Louis XIV and the kings who succeeded him all expanded the palace and with the help of various architects, sculptors, landscape architects and other professionals turned it to one of the most beautiful, over-the-top historic sites as you will find it today. 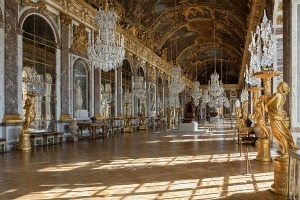 The oldest parts of Versailles Palace were build by Lois XIII in 1624 as a hunting lodge. His father Hendrick IV already went hunting in these parts and he followed his habit. In 1632 The hunting lodge was replaced with a palace and a garden. Before that there was no more than forests and swamps surrounding the building. 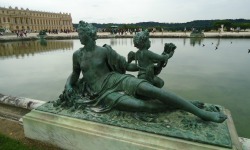 Find various tours to the Versailles Palace here. There are several options when you visit the estate. 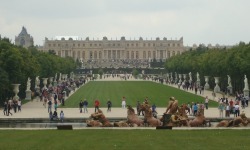 A visit of the gardens of Versailles and the Grand Appartements. These are the parts of the palace that were accessible to almost anyone who wanted to take a glimpse at the royals. The royal family was always surrounded by courtiers, visitors and servants here. This includes the Hall of Mirrors where meetings took place and balls were organised. 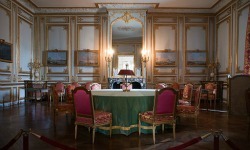 You can also join a tour to visit the Petit Appartments of Chateau de Versailles. These are the smaller private rooms that were connected to the Grand Appartments and were the king and queen could retire with only their favourites and family. Other palace residents did not have free access to these rooms. This tour will also include the chapel and the opera. In weekends only you can visit the Appartements de Mesdames. Here the six daughters of Louis XV lived, and Adelaide and Victoire who never got married lived there all their lives. 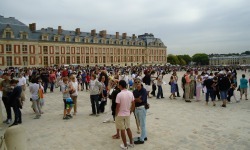 In the same part of the palace of Versailles are the appartments of the Dauphin and Dauphine. 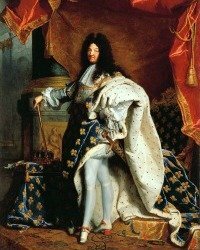 Here the heir to the France throne and his family lived. Of course you have to stroll through the vast gardens of Versailles Palace. Entrance is free except for the days when the musical fountain show is held, Saturdays and Sundays in the high season as well as on some additional holidays. 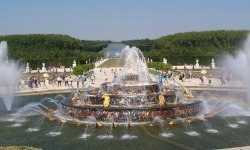 The many fountains build by order of Louis XIV are a technological tour de force for the period in which they were built. But there was not enough water pressure to operate them all at the same time. 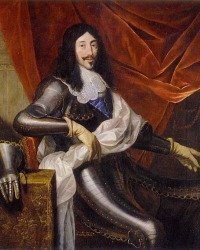 So whenever Louis XIV walked through the garden a whole system of servant signalling each other made sure that the fountains that were in the vicinity of the royal party were operating at the time he passed by! 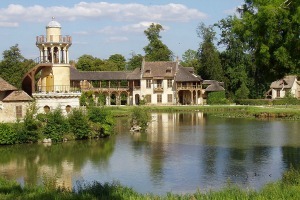 On the estate you will also find the Grand and the Petit Trianon. The Grand Trianon is the hide away where Louis XIV and his mistress would escape the crowded palace and enjoy the geometrical French-style gardens. 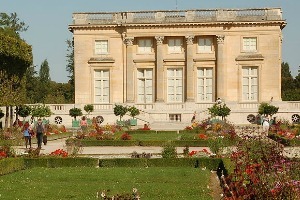 The Petit Trianon was given to Marie Antoinette by King Louis XVI in 1774. She made it her personal domain where nobody could come withouth her permission. She spend a lot of time there. She had several buildings created together with a medieval village where she would go with her ladies of honour and her children to enjoy a rural way of life. They would dress up like peasants and milk the cows and goats, pick flowers and enjoy the gardes. This was her way to escape the etiquette that ruled the lifes of the royal family in the main palace. 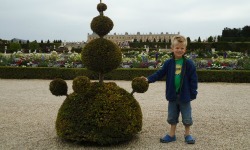 Visiting the Chateau the Versailles and surrounding gardens of Versailles will take you at least a day. It is however worthwhile to stay in Versailles some time longer. 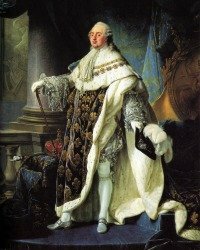 I have visited the Versailles palace itself on one occasion travelling from Paris to Versailles with my parents and sister. On another vacations a few years later I was happy to go there again and take a cycling tour around the Versailles gardens. On that occasion I went to see the Grand Trianon. I have to go back there again to see the Petit Trianon and Marie-Antoinette's Estate. When you are staying in Paris, here are some tours you can take with pick up and drop off at your hotel. A beatifull hardcover book for the coffee table. The book covers everything from its metamorphosis from humble hunting lodge to palace, to the dismantling of its collections during the French Revolution and its restoration and status as a UNESCO World Heritage site today. This book is beautiful, informative and shows amazing pictures of the many appartments in the palace and their outbuildings. 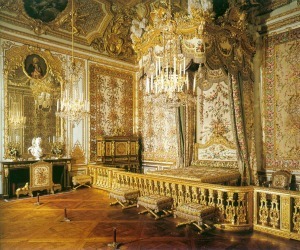 It shows pictures of whole rooms as well as phantastic details of the artifacts of Marie Antoinette. Written by people who have been there, or even helped build it or lived there during the reign of the Bourbon kings.